Microsoft Exchange Server provides numerous features and settings to handle your Exchange databases, mailboxes and public folders. It also offers a unique feature like Exchange Management Shell – a cmdlet service – which lets you run a significant number of commands and complete the desired action. The benefit of Exchange Management Shell is that you do not need to access any mailbox or database manually but run the command and make the changes you want. 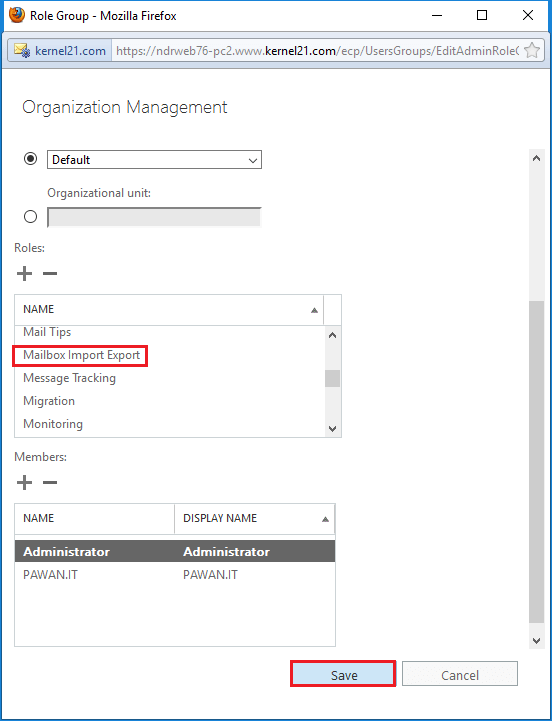 Start the Exchange Admin Center using Administrator credentials. 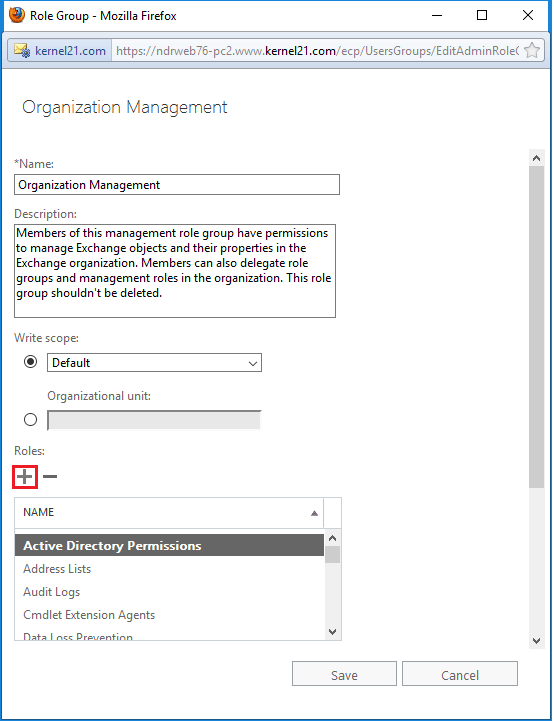 Select the option permissions, and then admin roles. Here, select the Organization Management role group and click the Edit button. Click the add (+) button under Roles. Select Mailbox Import Export role. Click Add; then click OK. Check whether the selected role is present in the role list. Finally, click the Save button. In the last step, you can see and verify that the role is present in the role group. 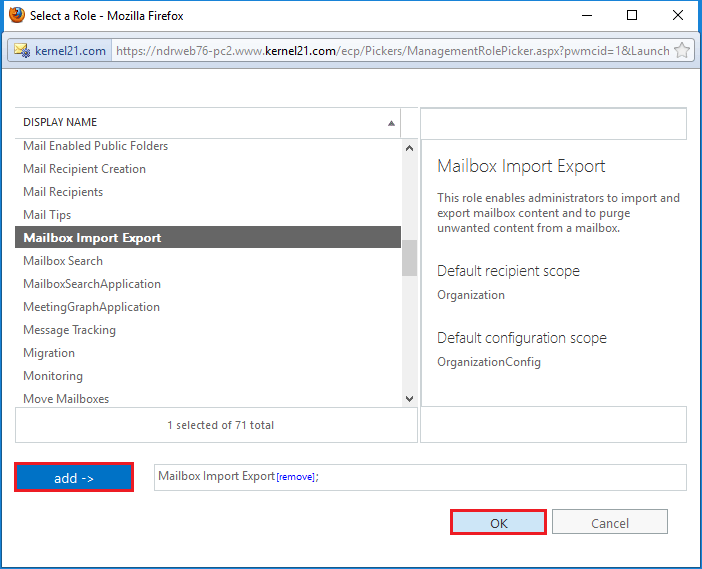 Now, you can go to Exchange Management Shell and run the mailbox export request. 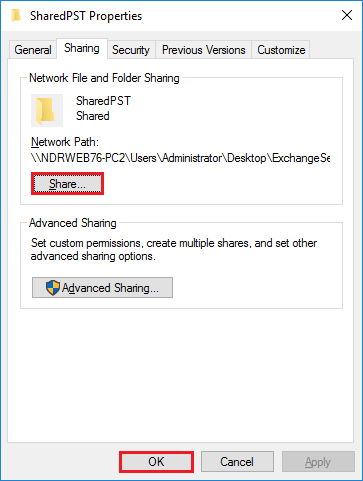 Before starting the export request, you should make sure that the destination folder where you will save the PST file is a network shared folder. Step – 1. To convert a folder to a shared folder, right-click the folder, go to its sharing option and click the share button. After sharing, click the OK button. Step – 2. Start the Exchange Management Shell as an Administrator. It will enlist all the mailboxes in the organization. After running the command, the mailbox will be in a queue for the migration. Step – 5. After completing the migration, you can go to the destination folder and see a newly created PST file. The bath name parameter mentions a unique name to the export mailboxes in batch. This parameter allows you to select such folders present in the mailbox which you do not want to export. The folder names are not case sensitive. Also, there are no character restrictions. All the folders of a mailbox like an inbox, calendar, contacts, tasks, notes, voicemail, fax, journals, drafts, sent items, deleted items, etc. can be used. This parameter lets you select such folders present in the mailbox which you surely want to export to a PST file. There is no limitation like case-sensitiveness or character restrictions. All the folders of a mailbox like an inbox, calendar, contacts, tasks, notes, voicemail, fax, journals, drafts, sent items, deleted items, etc. can be used. The priority parameter provides the order in which the export job will run. These priority values are lower, low, normal (default), high, higher, highest, emergency. The Target Root Folder parameter mentions the top-level folder where the data will be saved. In case, if you do not specify the parameter, then the mailbox folders will migrate to the top of the folder in the PST file. The manual export job using the Mailbox Export Request to take a backup of Exchange mailbox is quite limited in scope as many users are not comfortable in using cmdlets. If you want to take a secure backup easily, then you can also use a professional tool called Kernel Exchange Backup tool. It can access the Exchange data and provide a much better environment for the backup. Kernel Exchange Backup & Restore is a light-weight software which lets you export backup Exchange mailboxes directly to PST files. You can select single or unlimited mailboxes, apply filters, and send data to the desired location. Each mailbox gets saved to the respective PST file with the same name as that of the mailbox.